Quality is the hot topic every time people discuss about machine translation. People are so passionate about this issue that we are far from a mutual understanding. And it is fine. A good debate keeps the industry vital. But because too narrow point of view distorts the overall picture, we have to take human translation into the discussion as well. While we are obsessed about machine translation quality, the pricing and prices stimulate discussion with human translation. Of course the price talk is important. 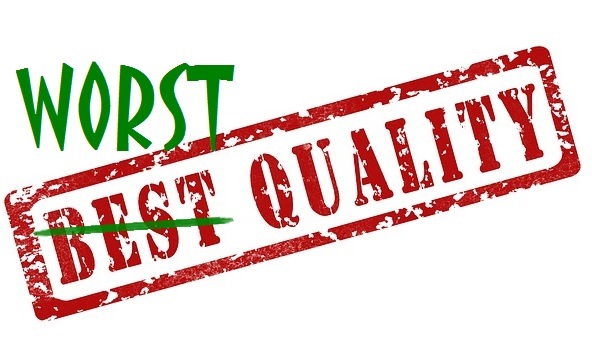 Still high quality is the number one selling argument for human translation when it is compared to automatic translation. However, impeccable and high quality isn’t always a foregone conclusion with humans either. It is a little strange that human-made translation commonly faces less distrust than machine translation. Nonetheless there are so many unprofessional and uneducated translation service providers that the quality risk is real. An inexperienced translation buyer may not know what to consider when he selects a translation service. The wide variety of translation service providers provides a wide variety of quality. The most professional translators know their strengths and are able to select jobs that they can master best. Less specialized translators and native speakers without any kind of translation education may not now when the job is out of their league. The fact is that no one can master all topics and industry vocabularies. A wrong choice of word can decrease the overall quality. Mistakes are only humane if the translator steps into less familiar topics. Likewise there are a wide variety of general machine translation services available. None of them is suitable for all situations but at the same time some of them may produce a relatively good translations for some pieces of text. More advanced, customized machine translators can reach high translations quality level all the time with controlled language and text types. With machine translation the user always takes the responsibility of the quality. Although the overall machine translation usage is more limited than human translation, both of them can produce good or bad translations. The key is to learn how to use machine translation and how to buy professional translation services. It is up to you whether you choose machine or human translator. Multilizer localization tools both support machine translation and offer free editor to professional translators. Learn more. Next Next post: Country Borders or Cultural Differences? When Localization Is Needed?